Put-in-Bay sweets and treats are truly iconic food items, but sweets don’t quite rank at the top for most people (they think of bars). Still, there are some great stops for kids and families to fulfill their sweet tooth. 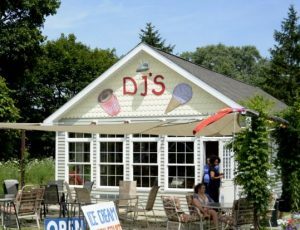 Especially downtown on Delaware Ave.
To learn more about what makes our Sweets and Treats worth visiting during your time in Put-in-Bay Ohio, read on below! 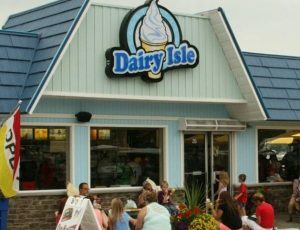 There are so many inviting ice cream shops tucked away in the popular downtown shopping and dining district of Put-in-Bay that we can’t list them all. Part of the adventure is discovering all of our sweet restaurants! Here, you and your guests can order a variety of desserts and treats, any time of the year. The Candy Bar specializes in fudge, ice cream, bulk candy, shaved ice, old candies, and chocolates in all manner of flavors and varieties. Find some old-time Put-in-Bay sweets as well. Those certainly have their fans – and history, to boot – but we decided to pick some of our own favorite sweet spots. It was hard to choose just a few cavity-inducing cravings, so instead we rounded them all up. 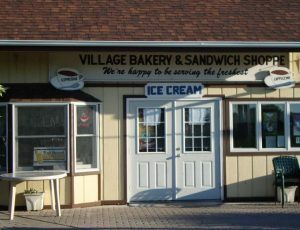 Whether you have an insatiable sweet tooth or just want to bring some Put-in-Bay sweets gifts home with you, the village has an abundance of sugary goodness to offer. Grab a Put-in-Bay Taxi and head downtown! In particular, people go crazy for the unique candies, fudge dipped ice cream, and handmade fudge, with varieties such as peanut butter fudge, rocky road and white chocolate. Dark chocolate almond clusters, praline fudge, dozens of ice creams, peanut butter fudge, cashew and coconut brittle, toffee nuts, jamocha almond fudge and chocolate fudge ice cream rounds out some of the more popular offerings.